Your cutting garden would be incomplete without a row or two of fragrant sweet peas. These annuals not only sweeten the air, but they contribute natural beauty to any room in which they are placed. And the more of them you pick, the more flowers they produce, which makes them a perfect addition to any bouquet. If you sow them at the right time and under the right conditions, sweet peas are typically carefree and rewarding. Sweet peas come in a variety of colors and patterns, and they all smell wonderful. Most plants will grow to 5 or 6 feet, but there are shorter varieties that grow well in containers. To lengthen the blooming season, choose a few different types. Soak the seeds in water for 8-10 hours before you sow them. This softens the seed's outer coating and speeds up the sprouting process. Some gardeners choose to nick the coating with a nail clipper. 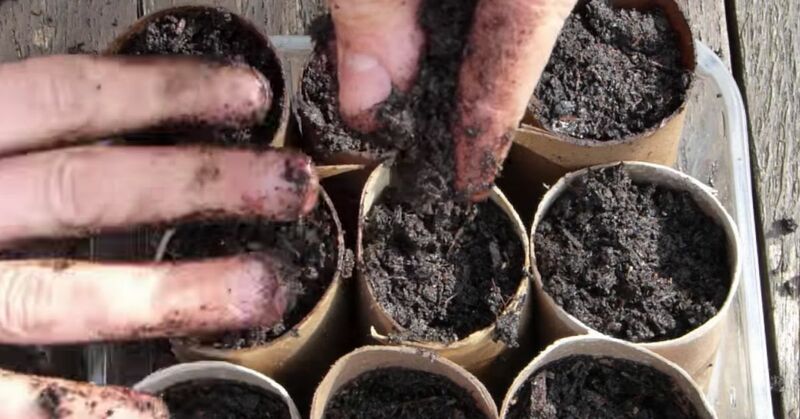 If you start your seeds indoors, use biodegradable pots, such as peat pots, paper pots, or Cowpots. Having a pot that can go into the ground right along with your seedlings is preferable since this helps to prevent root disturbance. Plant your seedlings in two rows, one on either side of the trellis, about 6-8 inches apart. As the vines grow, it's important to keep them tied to their trellises. Once they get started, sweet peas can grow over a foot a week. Select a sunny spot with well-drained soil. Before planting, enrich the soil with well-aged manure or compost. You can purchase a trellis or build your own. The vines will also climb on strings, fencing, and wire netting. Fertilize your sweet peas every 15 days or so with liquid fertilizer. Water your plants if there is insufficient rainfall. And mulch the soil to help keep the roots cool and to discourage weeds.